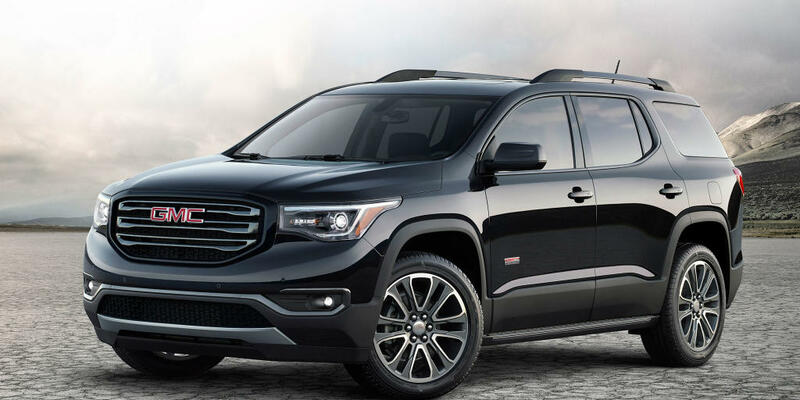 The Acadia is a well-balanced midsize SUV that offers excellent standard technology, class-leading safety scores, and the utility you’ve come to expect from an SUV in a beautifully redesigned package. There’s not a whole lot not to like about the Acadia, though it may not provide an exceptional driving experience or top of the line cabin. This SUV will satisfy the needs of most and will do so efficiently and reliably. The redesigned Acadia shrunk in size as well as price, costing nearly $10,000 less than the previous generation. 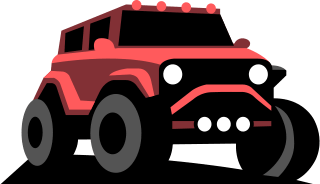 You still get a very capable SUV with all the utility most will ever need, along with improved fuel economy and the latest convenience technology. Apple Carplay and Android Auto are standard, as is OnStar 4G LTE wi-fi. With a starting price less than $30,000 dollars, the Acadia offers excellent value per dollar. The Acadia is available with two different engines. A 2.5 Liter 4 cylinder that makes 193 horsepower motivates the SL and SLE-1 models. A 3.6 Liter V6 that makes 310 horsepower is available on the SLE-2 and SLT-1 models and standard on higher trims. The 4 cylinder gets excellent fuel economy but struggles a bit to properly accelerate this large SUV, though it’s not as bad as some competitors. We’d opt for the V6 that delivers performance near the top of its class while averaging acceptable fuel economy at up to 19 mpg city and 26 mpg highway, one less for AWD equipped models. The V6 equipped Acadia will reach 60 mph from 0 in just 6.2 seconds, a respectable number. The 6-speed automatic transmission is smooth and responsive with the V6, but a little less refined when paired with the 4. The suspension is firmer than one might expect from a family hauler, which allows above average handling yet bumpy ride at times. It’s not particularly agile, but we’d say it’s one of the more fun midsize 3-row SUVs to drive. We know that’s a bit like bickering over who’s the most intelligent reality TV star, but if you have to trade in that sports sedan for a family hauler it’s nice to know there’s some modicum of fun to be had in this SUV. That’s why we give the Acadia the thumbs up in the performance category, it’s better than most. Inside the Acadia, you’ll find a rather average interior. Even in the highest Denali trim, you’ll find some hard plastic surfaces and lackluster materials. The seats are wide and flat, making entry and exit easy. However, they lack support when cornering. The driver’s seat doesn’t receive lumbar support unless you tick a box in the Denali trim, which is unacceptable for an SUV in this price range. If you have back problems, look elsewhere. The second row slides and reclines to help passengers find a more comfortable seating position, which isn’t common in the class. The third row has good headroom but lacks legroom. Redeeming qualities of this interior are the infotainment system and standard 4G LTE wi-fi. 5 standard USB ports ensure everyone stays connected. Apple Carplay and Android Auto are standard features in GM’s IntelliLink infotainment system. A rearview camera is standard, making parking this SUV easy. Higher trims receive a stellar Bose premium sound system and a rear seat entertainment system is available. There’s plenty of useful nooks and crannies to store small items and the third row folds easily to provide 41.7 cubes of cargo space and up to 79 with all rows folded. That’s plenty of space but a few cubic feet less than major rivals like the Honda Pilot. In summation, he Acadia’s interior is rather average but is much better than the previous generation, it’s enough to suit most needs and the standard convenience technology makes up for the lack of high quality fit and finish. The second generation Acadia loses 7 inches in length and 4 inches in width to make it a midsize, rather than full-size SUV. Along with the trimmed dimensions, it also loses some 700 pounds of heft. The new design features more modern LED lighting and a sleeker body design. All Terrain models receive a more rugged appearance package, while the Denali trim level has a unique grille and body trim that enhances the flowing design. The redesign makes the Acadia more attractive, though we think all Acadias are above average in the looks department. We know the exterior is largely a matter of taste, so let us know what you think in the comments below! The National Highway Traffic Safety Administration awards the Acadia a 5-star overall rating and a perfect score in every category but rollover, which is rated 4 stars. This is common for SUVs due to their high center of gravity. The Insurance Institute for Highway Safety gives the Acadia top marks in all crash tests and the additional designation of “Top Safety Pick+,” the highest possible rating. Furthermore, the available driver assistance technology receives a rating of “Superior,” the highest possible. The one weak spot the IIHS notes is “Marginal” headlights in lower trim models. A nice feature that’s new for the latest generation Acadia is a reminder to check the backseat for children or pets. GMC added this feature in response to child deaths from heatstroke. Overall, the Acadia is an excellent choice for the safety-concerned consumer who wants the peace of mind of an SUV that performs at the top of its class in safety. Consumer reports offer a 3 out of 5 reliability rating for the Acadia, showing improvement over the years and higher reliability for the latest generation (‘17+). JD Power awards this SUV with a 3.5 out of 5 predicted reliability rating, indicating just above average reliability. The 2017 model is subject to an NHTSA recall for a brake fluid leak that will decrease braking performance. The 2016 model is subject to two NHTSA recalls one for a defective lower seat frame in the third row and the other for a windshield wiper motor that overheats. These are minor and will be remedied by your local GMC dealer free of charge. When buying used, we’d steer clear of all 2011 and earlier models as the known issues are too numerous to document. Just save yourself a headache and don’t even think about purchasing a model earlier than 2012. The later the model year from 2012 on, the higher the reliability. There are still some known issues. The brake master cylinder may leak causing failure of the brake booster, this can be costly to replace: somewhere around $1,000 dollars. Be sure to have the brake system carefully inspected in 2015 and earlier models, the latest generation hasn't had this problem reported. Another known issue on 2015 and earlier models is a gas cap that wears quickly, causing the check engine light to come on. Obviously, this is a simple fix, as one must simply replace the gas cap. 2012 and earlier models have a faulty 35R clutch wave plate that may cause loss of reverse gear, slipping, and/or harsh 3rd or 5th gear shift. The transmission must be disassembled and cleared of any debris from the broken plate to prevent future issues. This can be a costly repair as well. Recent model years do have higher than average Technical Service Bulletins issued by the NHTSA, but most of them are for minor electronic and aesthetic issues. We’d recommend more recent models as above average in reliability, but we’d steer clear of buying earlier used models. If you’re considering the Acadia, you should definitely check out the Honda Pilot as well. The two 3-row midsize SUVs are neck and neck, priced similarly at every trim level and put down identical numbers on the test track. Where the Honda makes more sense is the lower trim levels. In the lower trimmed Acadias, you get an engine that doesn’t quite muster up. In the Honda, a 3.5 Liter V6 is standard. Though it makes 30 less horsepower at 280, the lighter Honda does 0-60 mph in the same amount of time, 6.2 seconds. The interior quality is also considerably more impressive on lower trims, and maybe a touch more refined on the Elite level trim. You also get Honda Sensing safety features on all but the lowest trims, while features like automatic forward braking are only available on Denali Acadias with the optional Technology Package. However, the Acadia offers standard 4G LTE wi-fi connectivity that the Honda does not. This may be a dealbreaker for some as smartphones become ubiquitous features of our families’ lives. The Honda does have a more adult friendly back row and just a handful more cubes of overall cargo space. Despite Honda’s reputation for high reliability, the Acadia actually scores a hair higher in JD Power rankings. We’d have to concede a tie in driving dynamics, as both SUVs offer responsive handling and a bit of fun behind the wheel. We’d definitely choose the Pilot over a 4 cylinder equipped Acadia, but the higher trimmed models are so evenly matched it’s difficult to decide. Let us know what you think! The SL trim arrives with an MSRP of $29,995 and has seating for 7, keyless open and start, automatic climate control, a 7in infotainment system, OnStar 4G LTE with built in wi-fi hotspot, rearview camera, 2.5 Liter 4 cylinder engine with variable valve timing, stop-start engine control system, daytime running lamps, projector beam headlamps, heated power-adjustable mirrors, deep-tinted rear windows, active grille shutters, 17in painted aluminum wheels, humidity sensor, leather-wrapped steering wheel with audio and cruise controls, 6 speaker audio system, digital compass, and passenger airbag sensing system. The SLE-1 trim starts at $33,535 and adds LED daytime running lights, a spare tire, SiriusXM satellite radio, and first and second row carpeted floor mats, as well as the availability of other options. A Black Accent Package is available for $1,195 that blacks out the grille, tail lamps, and license plate trim. For $36,155, the SLE-2 trim equips a power programmable liftgate, fog lamps, silver roof rails, 18in aluminum wheels with light accents, remote start, second-row bucket seats, heated driver and front passenger seats, 8-way power adjustable driver’s seat, and adds the availability of several options. An All Terrain package adds multiple seating options, rear air vents, universal home remote, leather-wrapped steering wheel, black roof rails, and AWD active twin clutch for $2,045. The Driver Alert Package 1 equips side blind zone alert, lane departure warning, rear cross-traffic alert, and rear park assist for $790. The Black Accent Package is also available on this trim for $1,195. The $39,435 SLT-1 trim provides an 8in infotainment system, Bose 8-speaker premium sound system, rear park assist, rear cross-traffic alert, side blind zone with lane change alert, upgraded mirrors with auto-dimming, 18in painted aluminum wheels, 120 volt power outlet, universal home remote, 4.2in driver information display, auto-dimming inside rearview mirror, power front row lumbar control, and availability of yet more options. A Black Accent Package is available for $1,195 that blacks out the grille, tail lamps, and license plate trim. An All Terrain package adds multiple seating options, rear air vents, universal home remote, leather-wrapped steering wheel, black roof rails, and AWD active twin clutch for $2,045. The SLT-2 trim installs a 3.6L DOHC V6 with variable valve timing, a 3.16 axle ratio, a 170 amp alternator, a heavy duty cooling system, a dual outlet exhaust system, a trailering package, IntelliBeam headlamps, 20in bright aluminum wheels with light accents, heated rear seats, memory settings, following distance indicator, forward collision alert, front and rear park assist, lane keep assist, lane departure warning, and front pedestrian braking for $42,835. A Black Accent Package is available for $1,195 that blacks out the grille, tail lamps, and license plate trim. The $45,995 Denali adds navigation to the 8in infotainment system, hands free power programmable liftgate, HID headlamps, bright roof rails, upgraded 20in wheels, Denali leather-wrapped steering wheel, 8in driver multi information display, and power tilt and telescopic steering column. The Technology Package costs $1,395 and adds adaptive cruise control, forward automatic braking, and a surround vision system. AWD is available in all but the base trim for as low as $2,000 and as high as $3,100. AWD is standard on some trims and engine options.